Minnesota Residents Call Police On Rowdy Drunk Birds Gilbert Police Chief Ty Techar says an early frost means the birds have been "getting a little more 'tipsy' than normal" on fermented berries. A waxwing eats a berry on an arrowwood tree. Cedar and other waxwings are known to gorge on fermented berries and other fruits, leading them to appear drunk. But these birds aren't out for human blood. They've just had a few too many — a few too many overripe berries, that is. "Certain berries we have in our area have fermented earlier than usual due to an early frost, which in turn has expedited the fermenting process," Gilbert Police Chief Ty Techar explained in a statement. "It appears that some birds are getting a little more 'tipsy' than normal." "Cedar waxwings and robins are most likely to gorge on fermented blackberries, pyracantha or juniper berries, crabapples or mountain ash fruits," Audubon reports. Oregon State University's Extension Service notes that by October, the birds that have consumed the fruit "may be tipsy, inadvertent victims of alcohol consumption." But the line between buzzed and fall-down drunk can blur fast. "Most birds likely just get a bit tipsy, and very few people would be able to pick them out as intoxicated," Meghan Larivee, a government laboratory coordinator in Yukon, Canada, told National Geographic. "However, every now and then, some birds just overdo it." 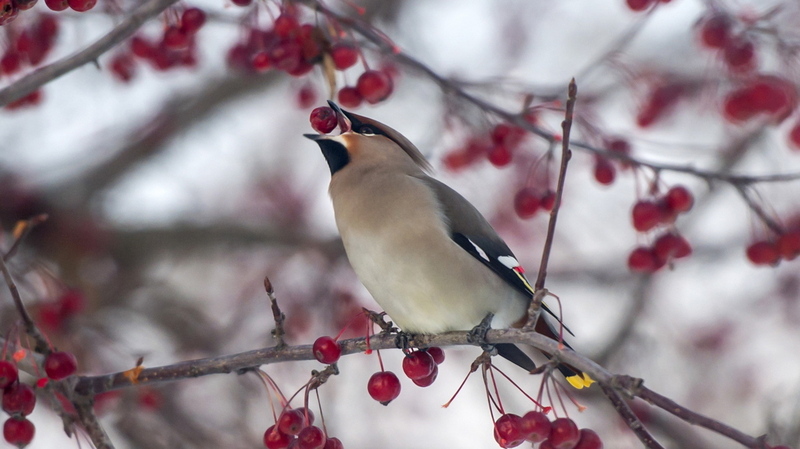 It got so bad in the Yukon city of Whitehorse in 2014 that the government's Animal Health Unit set up "drunk tanks" (modified hamster cages) for some Bohemian waxwings that needed to be cut off from the fermented berries of the rowan tree, National Geographic reports. "They cannot coordinate their flight movements properly or at all, and they are unable to walk in a coordinated way," Larivee told the magazine. Back in Gilbert, this year has been an especially bad one for party fowls. "Many birds have not migrated south, so it appears to be more prevalent than in past years," Techar said. "Generally, younger birds' livers cannot handle the toxins as efficiently as more mature birds." Police say there is no need to call emergency services to report the inebriated avians — they "should sober up within a short period of time." "Woodstock pushing Snoopy off the doghouse for no apparent reason. "Big Bird operating a motor vehicle in an unsafe manner. "Any other birds after midnight with Taco Bell items." A previous version of this story misspelled Audubon as Audobon.